T.P. Business & Accounting Office, we provide a professional service on business, accounting and law. With our experienced team that you can rely on an efficient process, the quality work and also the best service from us. T.P. Business & Accounting Office is always the best choice for your convenience in business, accounting and law. Business consultant service for individual registration, or registration of limited partnership and limited companies. Consultant services for accounting systems and setting of individual limited partnership and company. Sign board tax and housing tax. Other changing of limited partnership or limited company. Consultant services for registration of abolition of individual firm of limited partnership and company. Consultant services for registration consultant and service for vat, and specific type of business. Consultant services for work permits. Consultant services for internal accounting auditing. Consultant services for tax paying I.D. card. Consultant services for social insurance and pension fund. 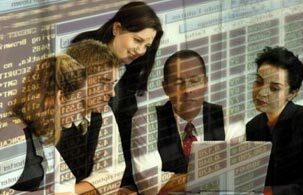 Consultant services for accounting software. Visa & Extend Visa, Foreigner. Law and legality consult for current customers. Consult works for currently and permanently in particular case about law and legality for customers. Being consultant for dealing an agreement contract or legal act. Represents customers for interconnection or organizing in order to make a contract or any legal acts. Provide service to exact debt from debtors or to be a consultant for a debtors who is being exacted debt from creditor. Performs litigation process for complainant, defendants or the third contestant.